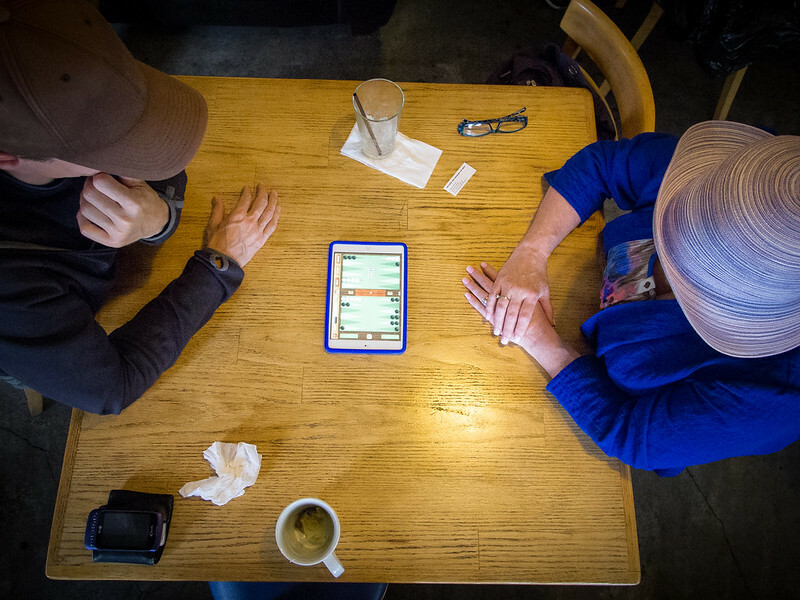 At first I was struck by the iPad mini, looking even more mini than usual in the middle of the table at a coffee shop I frequent. You can’t argue with having a pocketable device that can play whatever game you want, in this case backgammon. And the fact that the iPad’s case matched the woman’s jacket fired a photographic neuron in my mind. 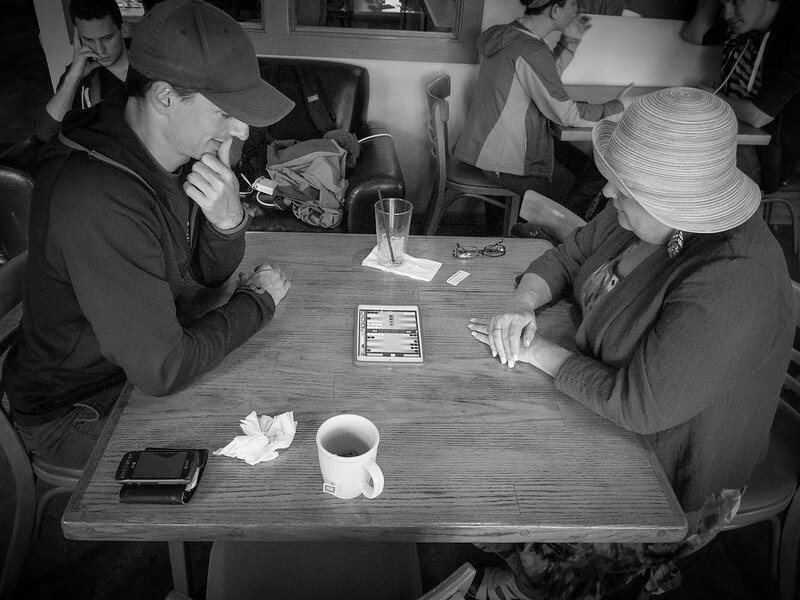 These two lovely folks meet every Thursday to play backgammon, they told me, sometimes in a cafe on rainy days like today or outside when the weather is more sunny. They were very nice about letting me photograph them (something I’m still learning to become comfortable with).